As the summer heat gives way to fall showers, Bay Area ants are on the move. 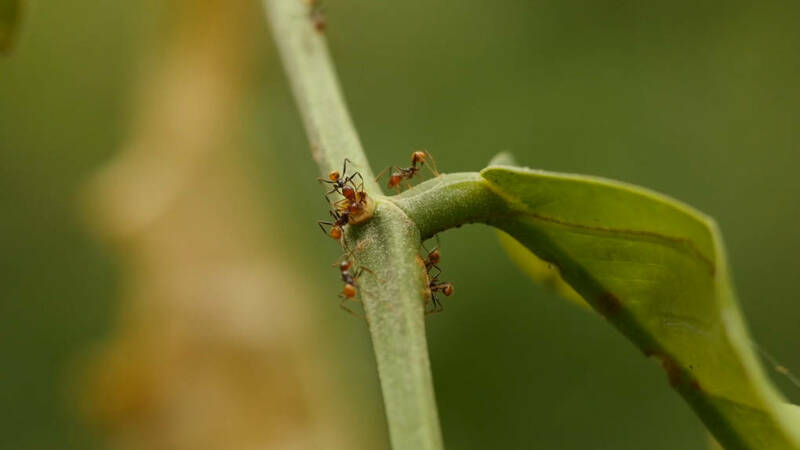 According to Deborah Gordon, a professor of biology at Stanford University, there are two seasonal peaks in how often ants intrude into people's homes: when it’s either very hot and dry or very cold and wet. During the dry summer and fall seasons, ants come into homes searching for water. They often make their way by crawling along pipes buried underground that lead inside. Ants start to move back outside with the onset of the first fall rains, unless there's a drought. But for some, ants are welcome guests. 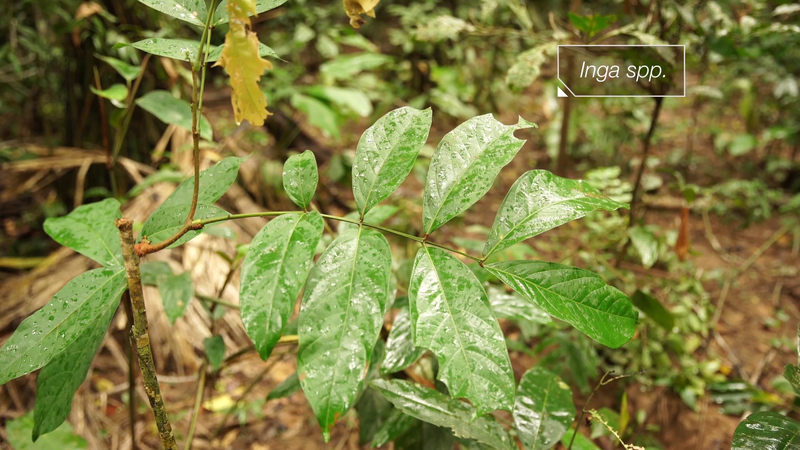 In the Amazon rainforest of Peru, a type of tree called the Inga actively encourages ants to stick around. The tree, which is related to plants that produce beans and other legumes, grows tiny structures near the base of its leaves, called nectaries, that secrete a sugary fluid to feed to the ants. In turn, the ants serve as bodyguards, protecting the Inga and its nectaries from invading herbivores. The rainforest is especially dangerous for young trees. The branches and leaves of mature trees merge together high in the air forming a canopy. Young trees on the forest floor struggle to get enough light. Young trees also have fewer leaves, and losing even a few to herbivores can threaten their survival. They may be small, but few species want to tangle with the aggressive and territorial big-headed ants. "Ants have powers in numbers, especially if they bite and sting," says Koptur. The ants keep most herbivores, especially hungry caterpillars, away from the young trees. Simply put, the trees provide nectar to the ants in exchange for protection. “They have a mutually beneficial arrangement,” she said. But that only works if both parties hold up their end of the deal. Sometimes the ants double-cross the trees. 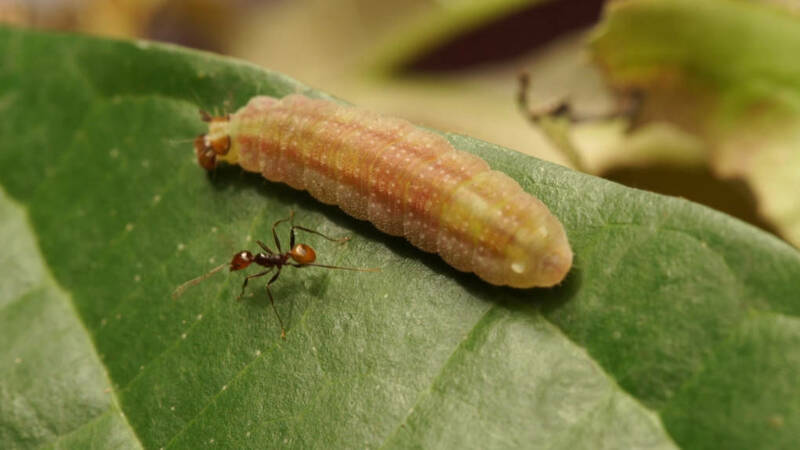 Unlike most caterpillars, Riodinid caterpillars are able to bribe the big-headed ants. The caterpillars (the larvae of butterflies) secrete droplets of another type of sugary nectar, called honeydew, from specialized organs on their backs. In return, the ants grant the Riodinid caterpillars access to the Inga tree. The caterpillars are voracious and can make quick work of the tree’s leaves, drastically reducing the Inga tree’s chances of survival. 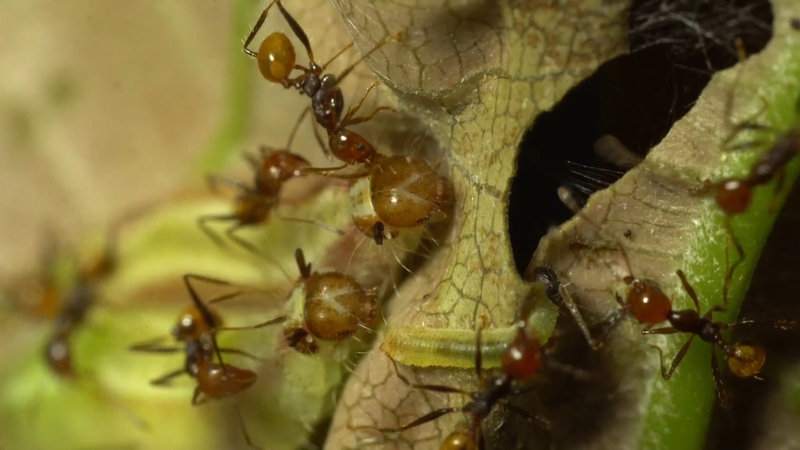 "The ants are just after a sugary snack," says Aaron Pomerantz, a Ph.D. student at University of California, Berkeley who has worked in Peru's rainforests. "They'll protect the Inga plant as long as it's producing nectar. But the caterpillars seem to have snuck into this relationship and are taking advantage. "Plants and animals are in a constant battle to survive and obtain resources in the Amazon rainforest," says Pomerantz. "It’s a complex web of relationships, he says, and good reminder to choose your friends wisely."